of Lackawanna, at the age of 83 on February 1st, 2019. Wife of the late Donald L. Dustin, Sr. Sister of Grace Davis and the late Audrey (late Carmen) Trinca. Also survived by 14 grandchildren and 10 great-grandchildren. Visitation Wednesday 3:00 - 7:00 p.m. at NORMAN E. GANNON & SONS, Inc. FUNERAL HOME, 1075 Ridge Rd. ; Lackawanna. 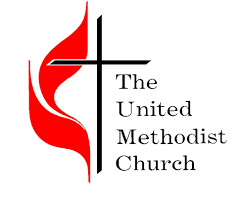 Friends are invited to join the family for services to be held at Elma United Methodist Church, 2991 Bowen Rd. ; Elma Thursday at 11:30 a.m. Burial to follow at Elma Cemetery. Mrs. Dustin was a member of Aerobics in Motion of Orchard Park and Seaside Methodist Church of Sunset Beach, NC.